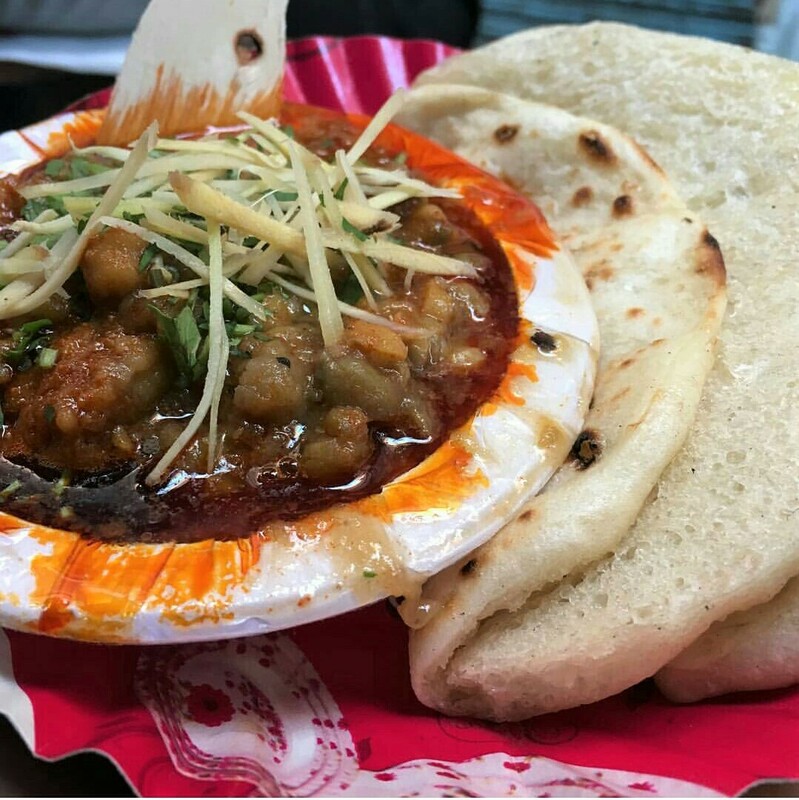 Chole Kulcha is a very popular street food item one can find at every nook and corner of Delhi. 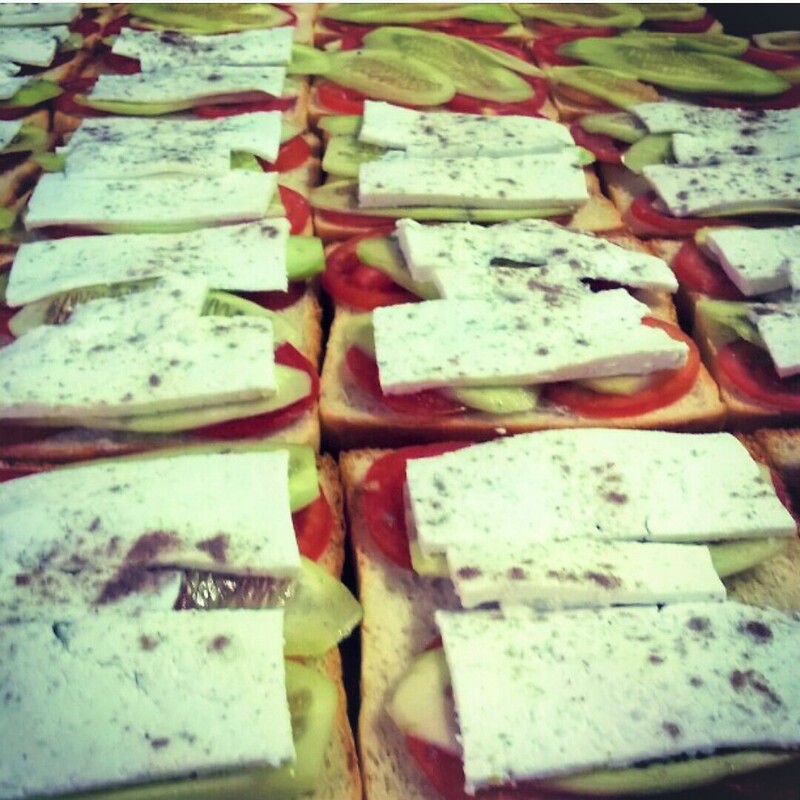 Delhites love to relish this chatpatta street food snack for breakfast, lunch, evening hunger or early dinner. 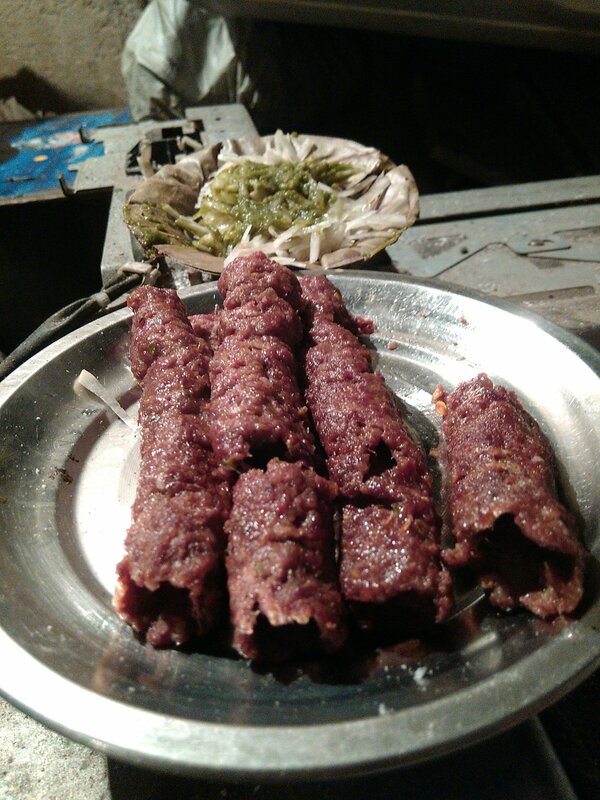 Lotan Kulche Wala is a popular Kulche wala situated in the chawri bazar. This small joint offers the best of chole with kuchle that are flavored with spicy sour chutney and chillies, which gives it a unique taste. The combination of boiled chickpeas and a soft kulcha is garnished with ginger and coriander. 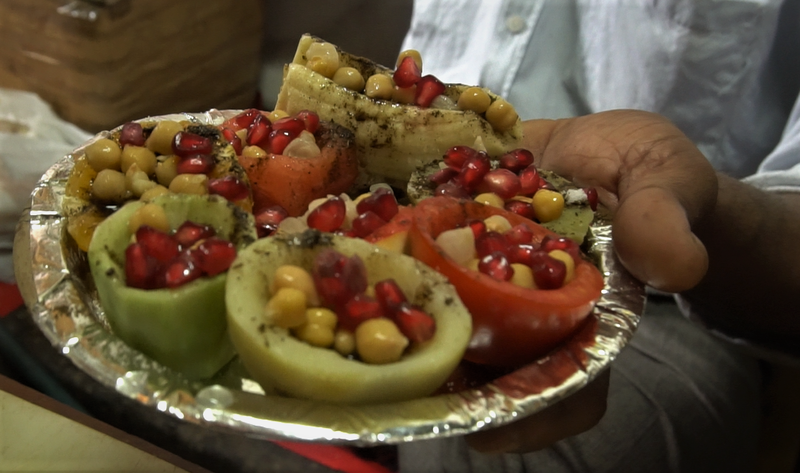 The Cholas are made in a copper vessel and topped with aloo and red spicy masala, which has to be the show-stealer here. Especially for those who love all things spicy and greasy. You can choose less spicy or extra spicy according to your taste. 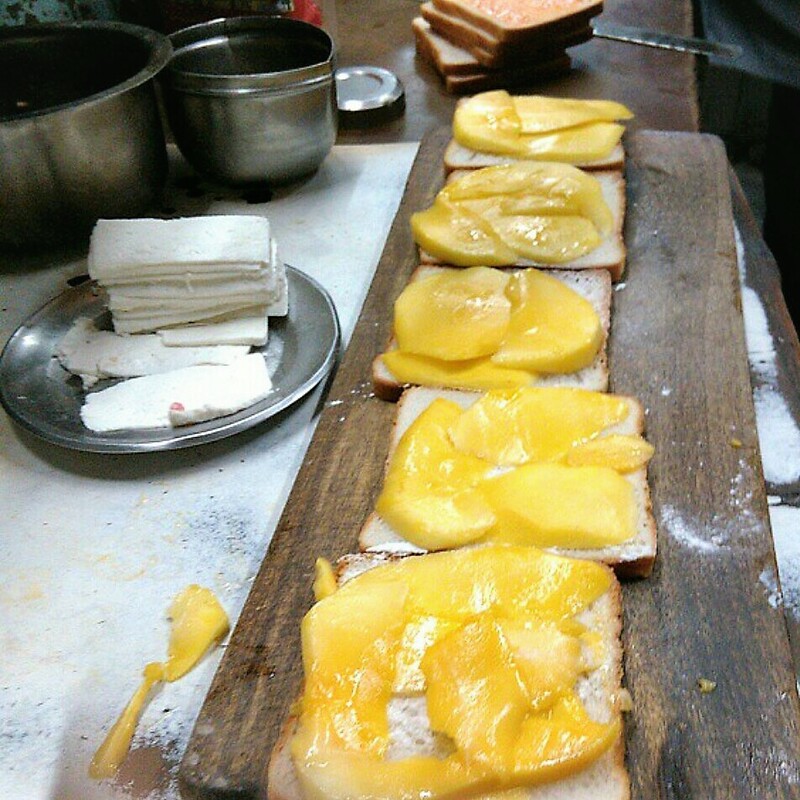 The vendor has been sitting at the particular place for quite some years and anyone who is familiar with the area can guide the food enthusiasts to this eating joint. Mahaveer, the grandson of the founder, Mr. Lotan sits in Chhatta Shah from 7:30 am to 10:30 am. So try to reach here before 10 o’clock or you might turn back empty stomach. This delicious recipe for chole goes back eighty odd years. The shop is run by the fourth generation of the family. 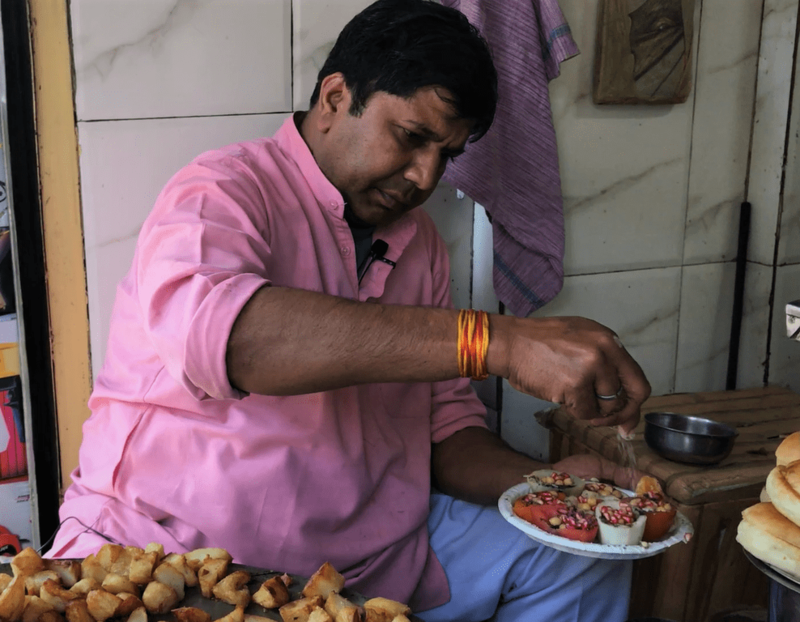 Mahaveer is carrying forward the legacy, with the very same recipe and serving people with best Chole Kulche in town. Along with chole-kulche, this shop also serves chana soup, with a cube of butter added giving an extra flavor to it. There is no proper sitting arrangement but one can find a patient crowd around Mahaveer, eagerly waiting to get their hands on the tasty Chole Kulche. The dish is highly recommended for the chole kulche lovers. It is nothing like anything you have had before. The raging debate on ‘intolerance’ in the country has taken the country by storm. 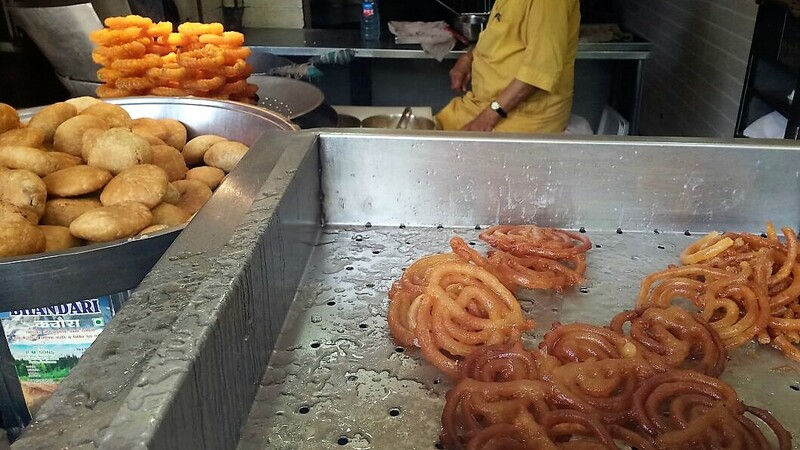 However, far away in foodie land what remains unaffected is the food of Old Delhi. Such a relief! The buff kebabs are grilled to be savoured by the food lovers of Delhi without any discrimination. A family from East Pulwama, Kashmir has been selling buff kebabs for the past 74 years in Turkman Gate, at a temporary set up, near the scrap market. Every winter, towards the end of November, this family travels to Delhi to sell kashmiri kebabs, just for four months. The shop which is open between 12 noon to 10 pm is located at the T-point of Phatak Teliya, Turkman Gate. Started by Ghulam Mohd, the little shack is now run by the father son duo- Md. Yusuf and Md. Bilal. His other two sons- Mustafa and Sameer sell the same Kashmiri kebabs at Motor Market, opposite Jama Masjid. Md. 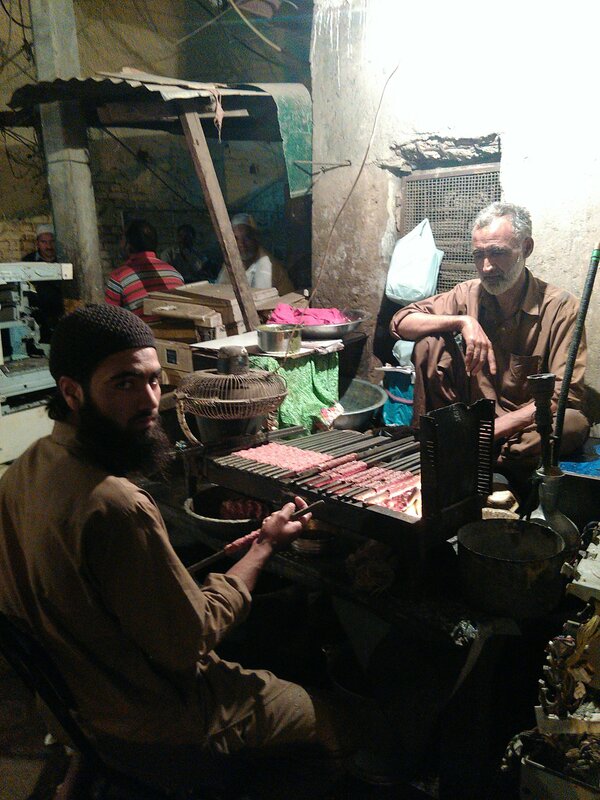 Yusuf sits besides the scrap of photostat machines with a grill and a small fan to churn the buff kebabs. While Bilal puts the minced meat over the skewer, Yusuf grills it to perfection. From young to old, Yusuf seems to be everyone’s favourite. The bond is so strong that any localite, if in Kashmir, stays at Yusuf’s place. When I reached there, I saw a kid relishing kebabs straight from the skewers. Within few minutes, another man came who asked this kid to recognize Yusuf bhai. I have captured the joy of this little one relishing kebabs in a video as well (obviously, with his due assent and the guardian’s consent to it). In the words of Yusuf, it is the “mohabbat” of the locals here that acts as a pull for his family to come every year in the winters. The kebab is a bit different from the regular ones we get on the streets of Old Delhi. The keema is red in colour, not finely grounded, and contains fewer spices. Md Yusuf brings his own spices from Kashmir; in fact even the garlic and ginger are brought from Kashmir. The kebab is not soft or melt-in-mouth kind, but it is flavoured with finesse. I loved it to the core and for a moment, I could relate myself with the little boy who stood there relishing kebabs straight from the skewer. If I was an Old Delhi child, that would be me! A plate which costs Rs 10 is served with radish and green coriander sauce. One can always ask for Romali roll which is just Rs 13 per roll. A seekh kebab is rolled on a romali roti, doused with chutney and slices of radish to create a bundle of happiness. There is another Kashmiri Kebab wala who sits at Bulbuli Khana in Jama Masjid. He works as a peon in a school in Kashmir and will be here in Delhi in another week to grill kebabs for the locals. Eagerly awaiting his arrival as I dream of kebabs!